So, originally this next diet was supposed to be Vegan diet....well I guess I cannot call it that anymore because it is not a vegan diet. In doing my research I found a diet that I think is more suited to my lifestyle and aims more to the results I want. It is basically a raw foods diet. 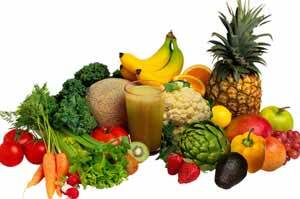 The concept is 80% of the daily food intake is raw; fruits, veggies, seeds, nuts, basically live foods. Nothing can be cooked over 117 degrees. The other 20% of the food intake can be a collection of foods, including meat and dairy and grains. Meat should be consumed sparingly, and they suggest lots of fish or eggs for animal proteins. There are restrictions to this diet, no white sugar, no processed foods, no soft drinks. There are many positive benefits of this diet, including weight loss, increased energy, improved skin appearance and better digestion. Mainly it is supposed to be eating like our ancestors ate thousands of years ago before McDonalds and all kinds of packaged foods that have a shelf life of 10 years, and before obesity and fat people diseases were so common. Like I said before, I am so happy to start this new plan but I am incredibly nervous, all at the same time. I hope I love it and I can get all the health benefits from this diet that are supposed to come, and I hope that it is not to difficult to follow. Sometimes I find that diets are hard to follow and I don't have time to put life on hold to be on a diet.....so here goes.